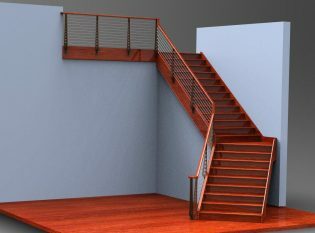 Material and Finish: "Oil-Rubbed Bronze" powder-coated steel posts with wood top rail. 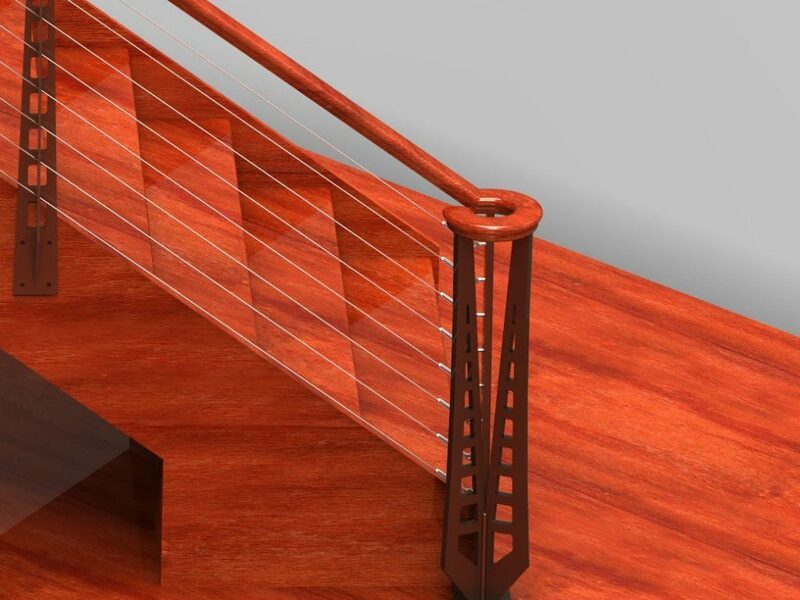 Description: Chicago Style cable railing with custom newel post. 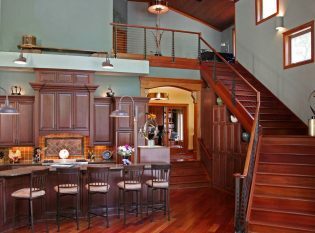 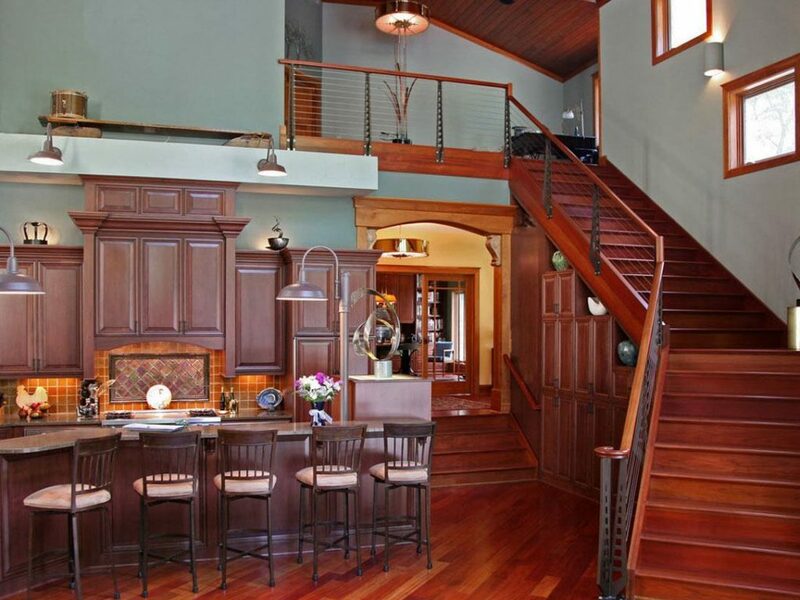 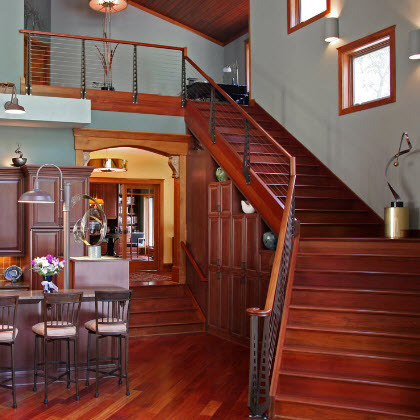 We worked with Stebnitz Builders for the interior of this beautiful home in Delavan, Wisconsin. 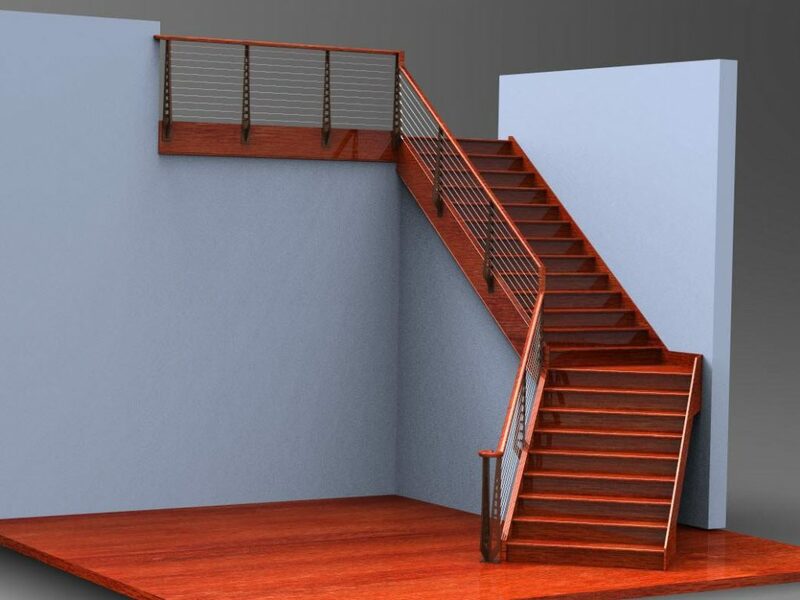 Using a 3D CAD program, our engineers brought to life the vision that Stebnitz Builders had for this grand cherry staircase. We designed a railing system with custom newel posts made from steel and powder coated in the color “Oil-Rubbed Bronze” and a wood top rail.